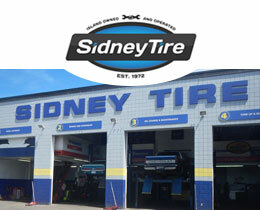 You get professional service and a personal touch at Sidney Tire. 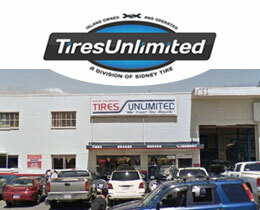 We’re your source for tires around Victoria, BC. Since our founding in Sidney in 1972, we have grown through the years to what is now three locations in Sidney, Victoria, and Parksville. In addition to selling and servicing a wide variety of tires and wheels, we provide automotive repair and maintenance services. We sell passenger and light truck tires, commercial tires, farm tires, industrial tires, and OTR tires along with tires for ATVs, lawn and garden equipment, wheelbarrows, and hand carts. We sell and service used tires, retreads, aftermarket wheels, truck rims, and industrial rims. Our new tires are from MICHELIN®, BFGoodrich®, Uniroyal®, and other major brands. When was your last wheel alignment? Seek out Sidney Tire for regular maintenance, automotive repairs, and tire services. Schedule your service at one of our three locations today. We have three locations to serving Victoria, Sidney, and Parksville. All have convenient hours to accommodate your schedule. While you wait for your tires, rims, wheels, or repair services, we have free Wi-Fi available.